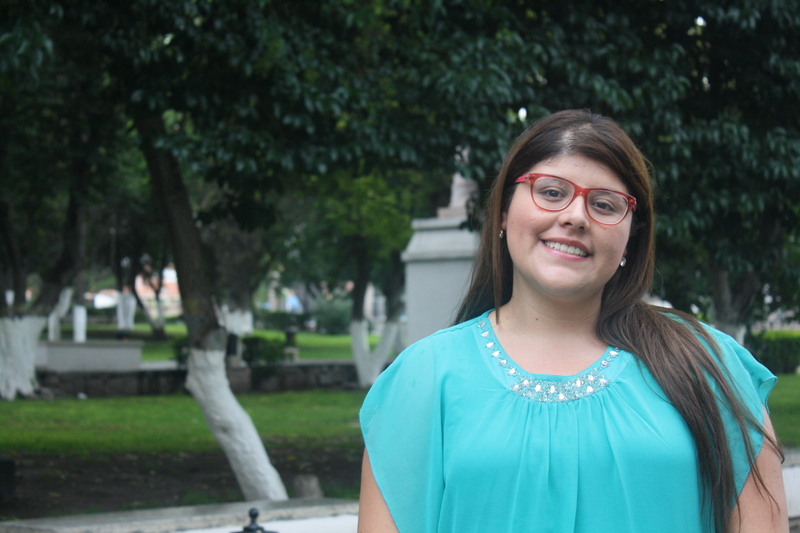 Alejandra was a Master Student in Science and Food Technology at Autonomous University of Coahuila and member of the Cluster of Bioalcohols at the Mexican Centre for Innovation in Bioenergy (Cemie-Bio), Mexico. Her research project was Bioethanol production from corn stover using hydrothermal pretreatments. Supervisors: Héctor A. Ruiz, Gil Garrote, Aloia Romaní, Rosa M. Rodríguez-Jasso and Cristóbal N. Aguilar. • Research Stay at the University of Vigo, Spain, 2014-2015. • 2017. Alejandra Aguilar, Bioethanol production from corn stover using hydrothermal pretreatments. Master Thesis. School of Chemistry at the Autonomous University of Coahuila. Saltillo, Coahuila, Mexico. • 2017. Alejandra Aguilar, Aloia Romaní, Rosa M. Rodríguez-Jasso, Cristóbal N. Aguilar, Gil Garrote and Héctor A. Ruiz. Comparison of microwave and conduction-convection heating autohydrolysis pretreatment for bioethanol production. Bioresource Technology. 234, 273–283. • 2017. Alejandra Aguilar, Aloia Romaní, Rosa M. Rodríguez-Jasso, Cristóbal N. Aguilar, Gil Garrote and Héctor A. Ruiz. Microwave heating processing as alternative of pretreatment in second-generation biorefinery: An overview. Energy Conversion and Management. 136, 50–65. • 2015. Alejandra Aguilar, Aloia Romaní, Cristóbal N. Aguilar, Gil Garrote and Héctor A. Ruiz. Evaluation of autohydrolysis pretreatment using microwave heating for enzymatic saccharification of corn residues. 37th Symposium on Biotechnology for Fuels and Chemicals, San Diego, CA, USA. • 2014. Alejandra Aguilar, Aloia Romaní, Cristóbal N. Aguilar, Gil Garrote and Héctor A. Ruiz. Evaluation of autohydrolysis pretreatment by microwave irradiation on corn residues. Lignobiotech III, Concepción, Chile.